In between knitting for my latest pattern release – Hessian Shawl, I’ve been reading reading reading. Audiobooks are a knitter’s best friend and I’ve really enjoyed broadening my reading horizons, whilst being able to thoroughly ‘crack on’ with my various knitting projects. I’m halfway through my journey to read at least 40 books this year, with the help of a little reading challenge by Popsugar. 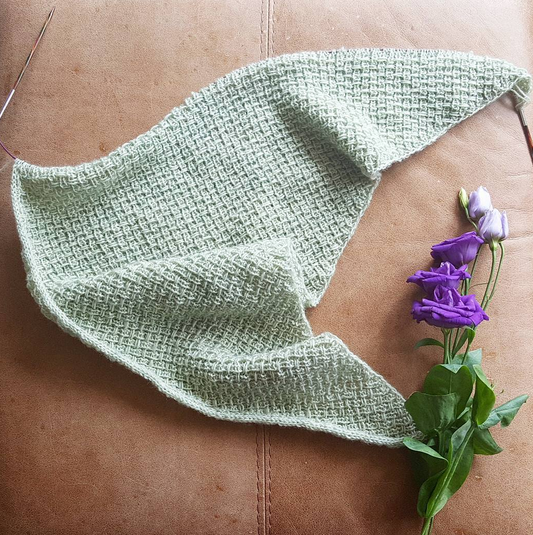 You can check out my progress on my shawl and reading list below! What have you been reading lately? How do you balance reading and knitting in your spare time? What’s on my knit list? When I first started knitting I focused on one project, and one project alone until it was cast off, ends woven in, blocked, finished. It was methodical, serene, focused – productive. Since then and over the years I’ve developed a habit of half-starting several projects, to a point where I can now have five WIPs on the go! 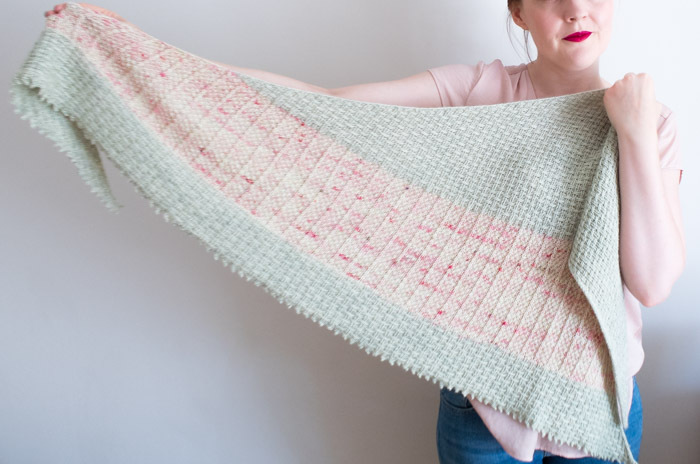 Developed from wanting to knit for myself, friends, family, work… It’s certainly a more frantic approach to knitting, and one I’m definitely not wanting to encourage. It’s led to a nasty habit of indecision and procrastination. Not a great combination. In the run up to me hosting two beginner knitting workshops next weekend, I’ve been reflecting on the basic techniques and starting from the very beginning. So I thought I’d share a little round up of great patterns and a few quick knits perfect for knitting newbies, or crafters wanting to push their skills to the next level! Why am I doing this blog post at the start of February, rather than the beginning of January 2017 like most? Because, I hate resolutions. And these six things are decidedly not resolutions.